The World Needs A Stronger Blog...: Fort Hood & the KSM trial- Part I: What do these terrorism stories have in common? 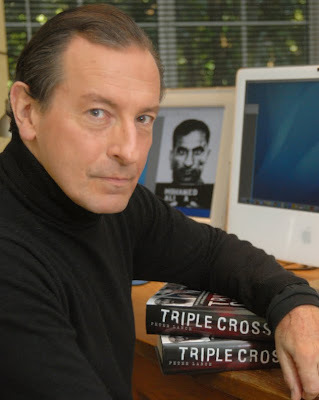 "the shootings at Ford Hood and the decision"
I am reading "Triple Cross" and find it difficult to put the book down. Mr Lance has done a cracking job of investigative journalism, not only in exposing this vicious and dangerous Al Quada spy but also by shining a light on the major errors and omissions of the CIA and FBI. If those two agencies don't get it right, who else can we trust to protect us ? Thank you, Mr Lance, for your guts and determination in chasing this one down.